The Hospital comprises two separate ancient charitable foundations, which have been merged for some centuries. Brothers from the two foundations are often referred to as the Black Brothers or the Red Brothers. The Hospital of St Cross was founded in approximately 1132 by Bishop Henry of Blois. 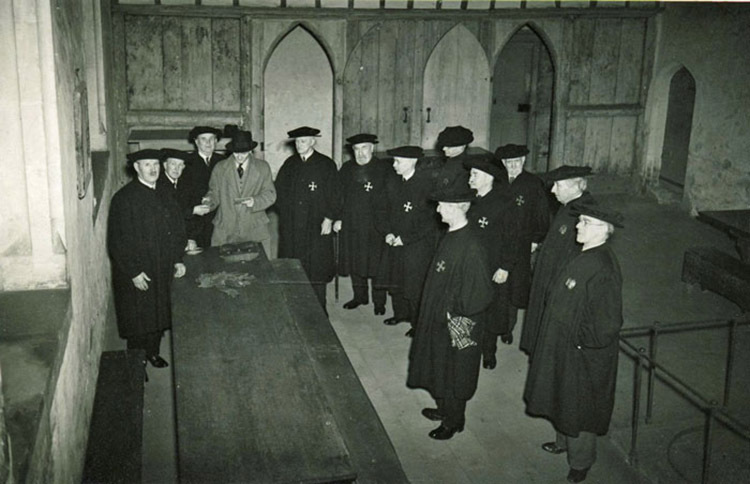 Brothers from this foundation wear a black robe, a black trencher hat and a silver badge in the shape of the Cross of Jerusalem. In 1445 the Order of Noble Poverty was founded by Cardinal Henry Beaufort. 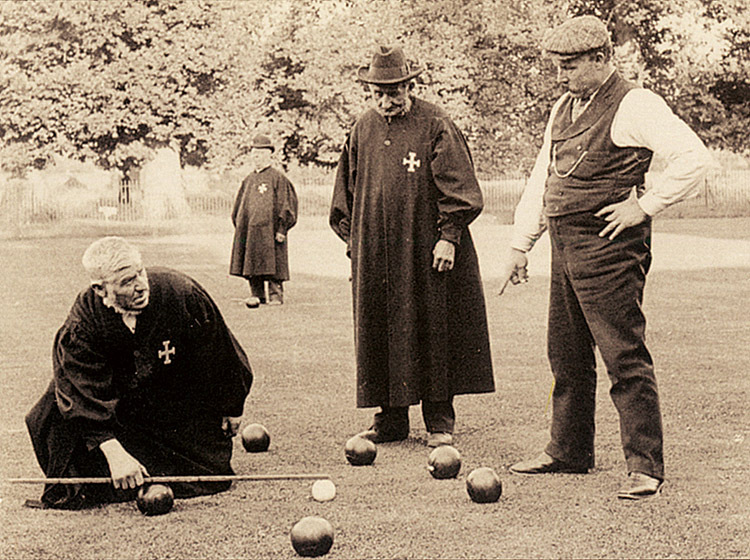 These Brothers wear a claret robe, a claret trencher hat and a silver Cardinal’s badge as a reminder of their founder. The Hospital has places for twenty five Brothers in total, each of whom is allocated his own self-contained flat. The flats date back to the fifteenth century and are all on the ground or first floor. Typically, they comprise a sitting room, bedroom, kitchen, shower or wet-room and separate lavatory. The flats are unfurnished and each Brother usually provides his own furniture. In cases of extreme hardship the Hospital can sometimes help with the provision of some items. A new Brother is assigned to either order by The Master.